Once one of the strongest fortified cities on the European continent, Tallinn, Estonia had, at one time, 66 towers that were part of its fortifications. 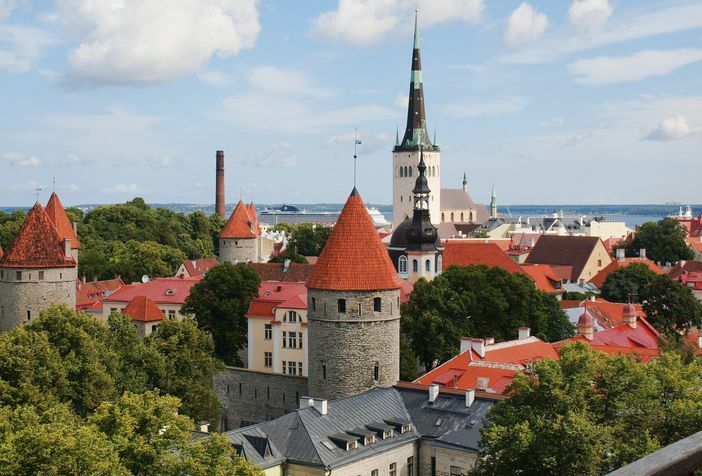 Today, the capital of Estonia is a tourist destination and cruise stop. Following are the top 10 things to do in Tallinn when you are on a cruise or travel adventure. Featuring beautiful shades of trees and quiet and serene ponds, Kadriorg falls under the classifications of places to see and things to do in Tallinn that can be done for free. The Presidential Palace is also located in the park. Take a stroll down Long Street, or Pikk Tänav, in Tallinn. You can see the former headquarters of the Soviet secret police at 59 Pikk Tänav. The Alexander Nevsky Cathedral’s sparkling onion domes are set against the cheer of a cerulean sky in the summertime. 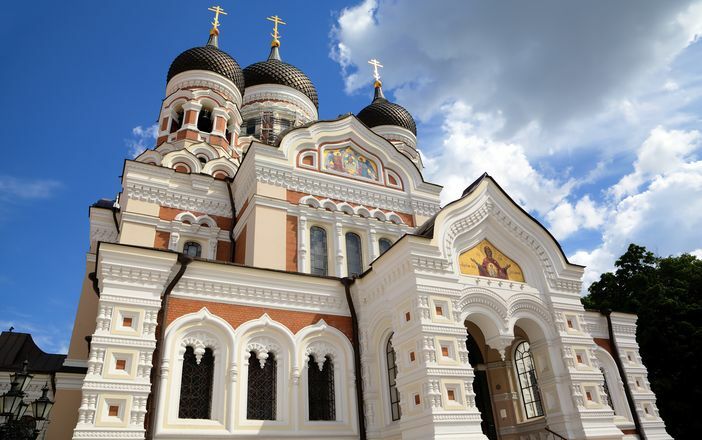 It is just one of the many churches to see and is one of the main things to do in Tallinn that underscores the history and medieval influence of the city’s Old Town fortress. This church was believed to have been constructed in the 1100s. It was a center for Tallinn’s Scandinavian community prior to Denmark’s occupation of Tallinn in 1219. From the mid-1940s to 1991, the Soviet KGB used the church’s spire as a surveillance point and radio tower. The church was the tallest building in the world from 1549 to 1625. The Tallinna teletorn is an impressive tower that features an observation deck. This TV tower is known as the tallest structure in the city. Officially opened in July 1980, the tower was closed for a while (from November 2007 to April 2012) for renovation work. One of a number of fun and free things to do in Tallinn is found on the high ground and is known as Toompea Hill. The view of the Baltic Sea is excellent at the top. 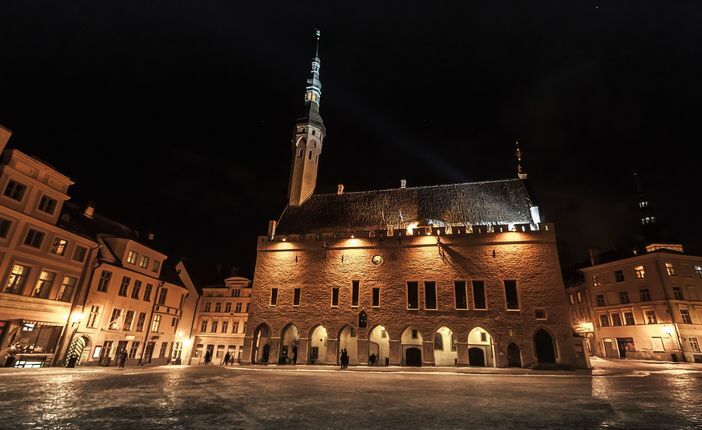 The Tallinn Town Hall is located in Tallinn’s Old Town and is adjacent to the Town Hall Square. It has the noted distinction of being the oldest town hall building in the Scandinavian and Baltic areas. One of the many pleasant walkways in the Old Town of Tallinn, St. Catherine’s passage links Müürivahe and Vene streets. Also known as Katarina Käik, it is always a pleasant walk, regardless of the season. The Kumu Kunstimuuseum is the biggest art museum in the Baltic area and the largest museum of its kind in Northern Europe. The museum displays both temporary exhibits and permanent collections. Located in the northwest corner of the city is the Patarei Tallinn Prison. The now-deserted prison is depicted as desolate and spooky. The tall fences that surround the vacant yet imposing structure still feature razor wire. During the cruise season in Northern Europe, from May through to October, you will have plenty of things to do in Tallinn if you choose to visit this ancient, fairytale city. The best time to visit is in the summer, but you can still find some cruise deals if you choose to book in September and October.